Private bungalows on the shore of a quiet, fish-filled bay. 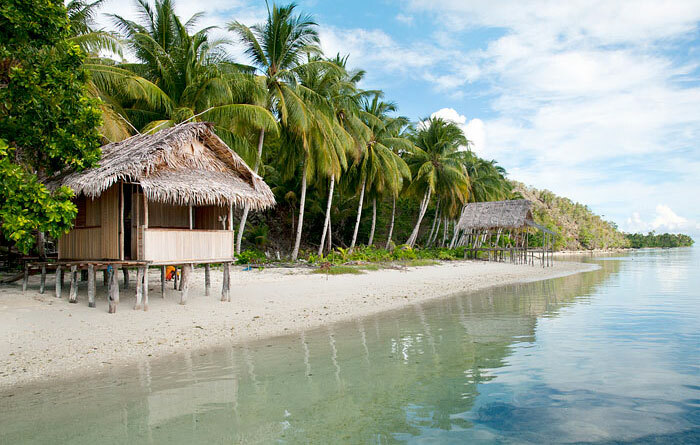 Wayag and Piaynemo trips and the chance to camp with nesting turtles on remote island beaches. 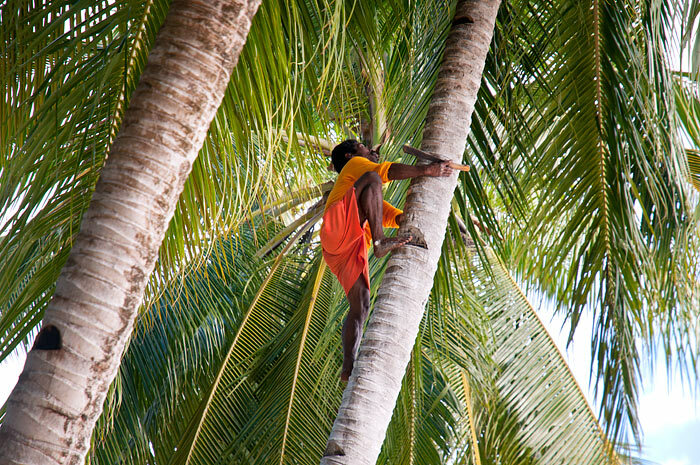 Bon Wauw Homestay lies in a shady coconut grove on a fine sandy beach on the remote West Waigeo island of Manyaifun. 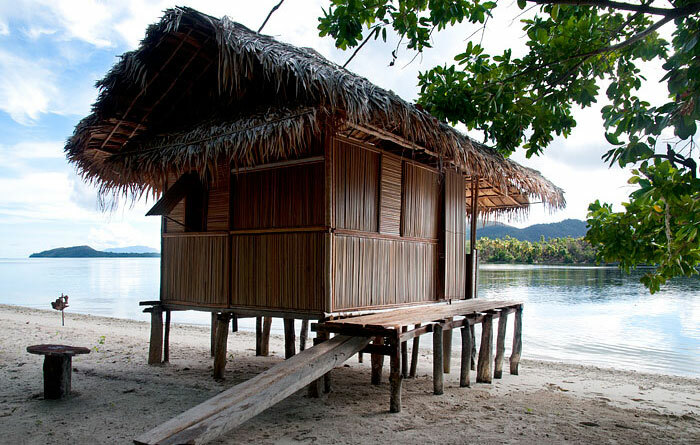 Bon Wauw Homestay offers five private bungalows. Three are located on the beach and are over water at high tide. Two are over water bungalows. 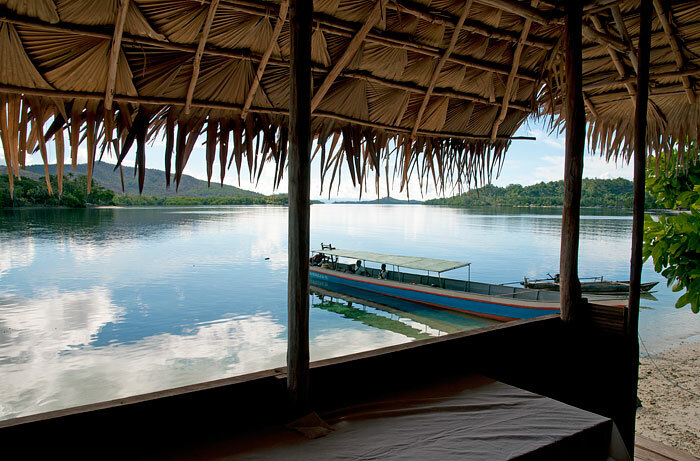 All have verandahs with seats and tables and fine views across the bay to the neighbouring island of Batang Pele. The bungalow bedrooms have the usual mattress on the floor with a mosquito net, pillows, bolsters, mattress cover and sheet. Meals are served in Bon Wauw’s beachside dining room and drinking water, tea and coffee making supplies are always available there for guests. 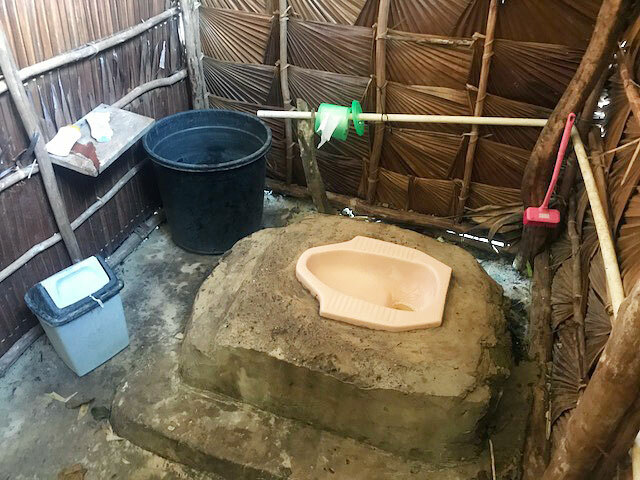 A two-room bathroom building with a crushed rock floor provides separate dip mandi bathroom and a squat toilet. Pak Matheus speaks English, so you shouldn’t have any problems communicating. Transport between Bon Wauw Homestay and Waisai is by longboat and costs IDR 1,500,000 each way for up to 3 people, or IDR 2,000,000 for 3 to 6 passengers. Trip cost is shared by passengers and the boat can carry up to six passengers. Manyaifun’s waters are rich in coral and fish and alive with phosphorescence at night. There are many great snorkelling sites nearby, including some where you can swim with Mantas. Bon Wauw has good coral and a drop off at the door. The fiordlike karst landscape of western Waigeo and Aljui Bay are also relatively close by. 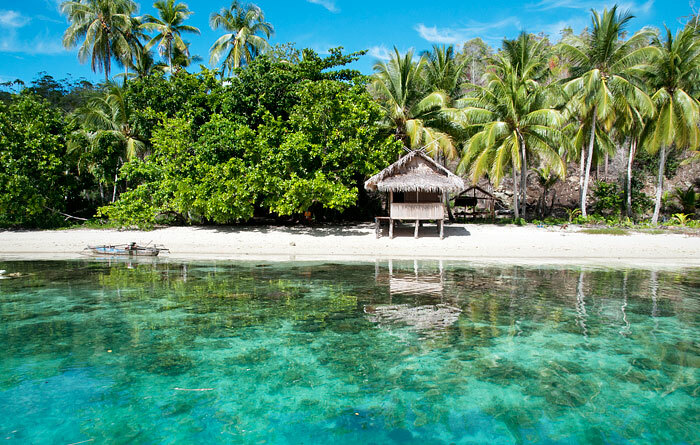 In addition to the house reef, snorkelling trips can be arranged on request and day trips to Piaynemo and Wayag for sightseeing and snorkelling are also available. A Wayag day trip from Bon Wauw will cost IDR 6,000,000 shared among longboat passengers. Cost: IDR 10,000,000 shared by participants. And it‘s one of the best we stayed (being meanwhile 4 times to R4 and 14 different Homestays)! We done some nice snorkeling trips with Matheus…and he‘s always open for trips in general. Snorkeling in front of the beach is also recommendable. The Bungalow is very clean and tidy with spacious Verandah! The Bungalows (2 in the moment) are equipped with hammocks which is a big plus. Thanks a lot Matheus and your lovely family! (Terimah kasih banyak Pak Matheus!!! Thank you for your time for give the revew in here .i hope you will back again .not forget promotion for your frends or you family . We have spent 5 excellent and relaxed days at Bon Wauw Home Stay! We LOVED to be so far from tourism, to be remote, going back in time where life is celebrated in a pristine way. Lying in the hammock, snorkeling, wandering to the small local village and enjoying the view, meals and sunsets. The family is very friendly and will do everything they can do to make your stay comfortable. Highly recommended! 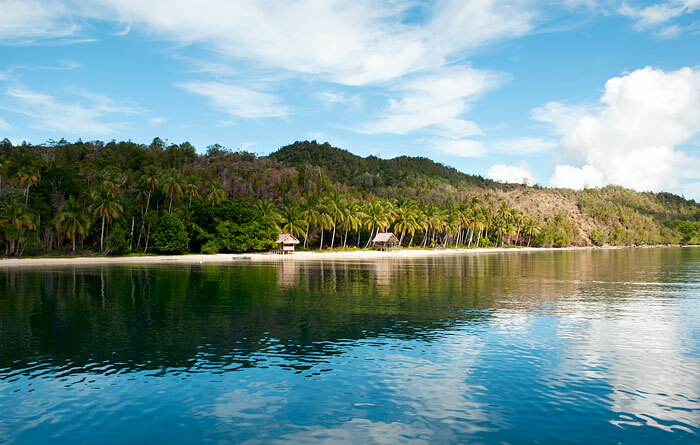 We can not wait to travel back to Raja Ampat and especially to the remote islands. The boat ride can be quite rough as part of the adventure :-). Thank you so much for hospitality and we hope to see you soon! For your time for give the commet in here .i hope you can back again.🙏 and not forget promotion my homestay to your frends or your frends. 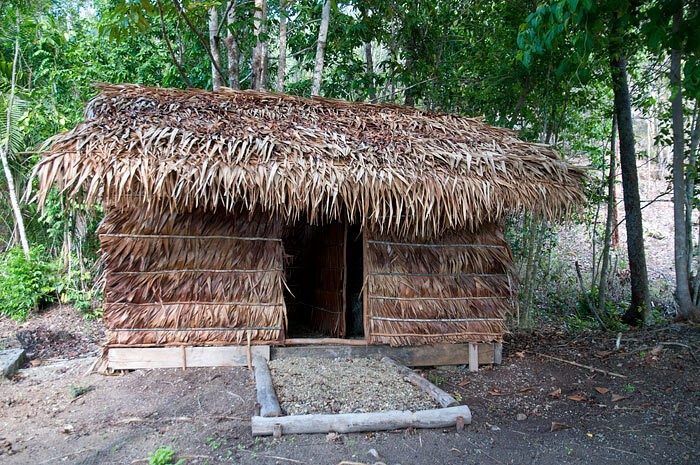 I stayed at this comfortable and relatively isolated Homestay over the Xmas period, and was the only guest. There is wonderful snorkelling just in front of the bungalows and I saw some truly enormous and unusually shaped fish! The family who provide food and excursions were very friendly and attentive, and took me on some good snorkelling trips, as well as a walk up to the viewpoint on the hill near the homestay. There is an interesting village a 15 minute walk along the beach (at low tide). I would recommend this homestay for people who like a quiet homestay experience. Thank you for your come in my homestay. And thank you for time for give a comment.in here.please promotion for your family and and your frends. We booked this homestay a couple of weeks in advance. Communication to organize pick up on Gam worked fine through email and whatsapp. Matheus from the homestay picked us up as planned. The boat ride took 2,5 hours (its quite a big distance) in his outrigger canoo/boat. The boat fits 2 guests with luggage. Nice and scenic boat ride and we loved it! However, it’s not for the fainted hearted (but they should not consider travel to this remote part of RA anyways). The place consists of two bungalows with spacious terraces in front, located on the beach. A few meters from the water on low tide, half way over water on high tide. Amazing! 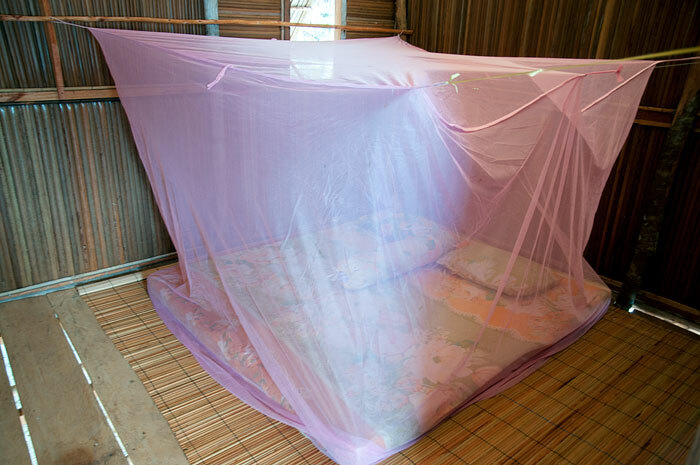 The bungalow was clean and tidy, with clean sheets and a mosquito net. They also have hammocks if you don’t bring your own, and there are two chairs on the terrace outside the bungalow. 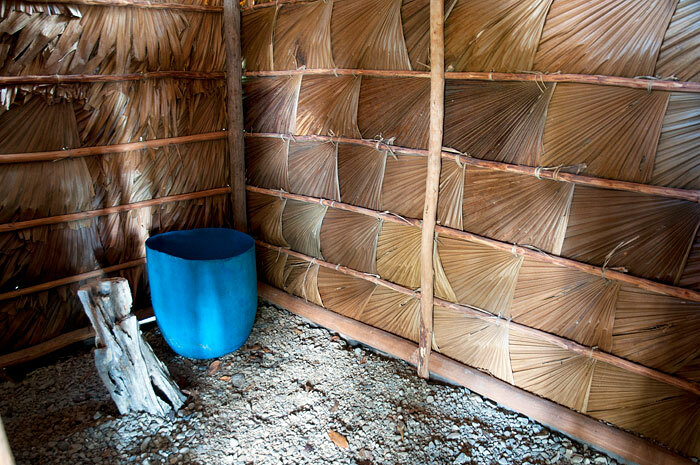 The toilet and bathroom is simple like all other home stays. Dip mandi shower and squatting toilet. But they make sure it’s clean, there’s always toilet paper in the toilet, and soap for washing hands. The family consists of Matheus, his wife and 6 children. 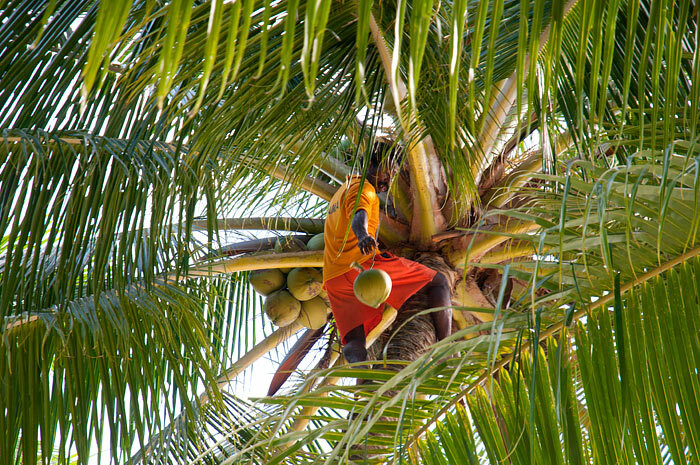 The kids play in the water, with the kanoo or they relax in a hammock. Lovely family! Matheus is the only one speaking some basic words of English, but everyone is smiling and being helpful!! There’s always a thermos with hot water in the eating area, but we recommend to bring your own coffee as they have limited amount. There’s also drinking water and some soap and water to wash your hands. The food is excellent. Traditional food with rice, fish, eggs, vegetables and so on. It’s spicy like it should be, not the mild taste you might find in some home stays in Kri and Gam. There’s always some fruit for dessert, typically mango or papaya. A generator provides electricity every evening from sunset until bed time. But you barely need it, as there is no cell phone signal in this part of RA (or wifi). The lack of signal makes this a calm and quiet place, made for relaxing, snorkeling, reading and hammocking. Enjoy it! And Matheus also provides trips to other islands in the area, and to Wayag. We stayed 3 nights in this piece of paradise. We wish we could stay 10 more! Thank you so much for your time .for give this review..
My partner Chris & I stayed with Bon Wauw Homestay in West Waigo for 3 nights in September. Although it was quite a wet longboat ride from Waisai, arriving to a white-sand paradise was well worth the trip. 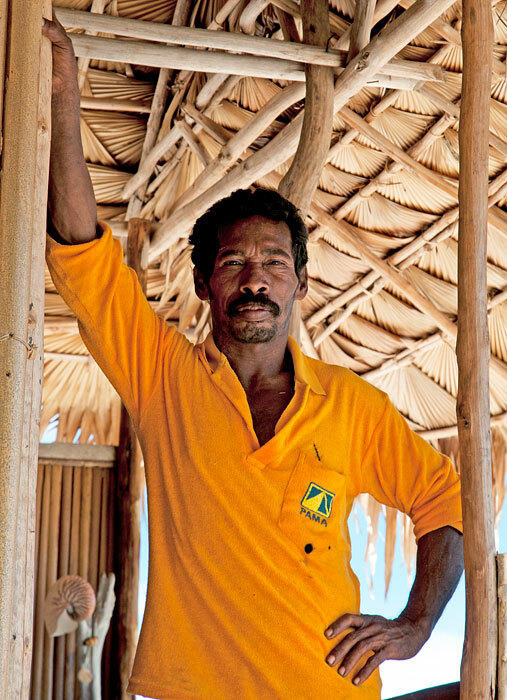 The homestay, run by Mr. Matheus and family, rests on a protected reef near a tiny village. 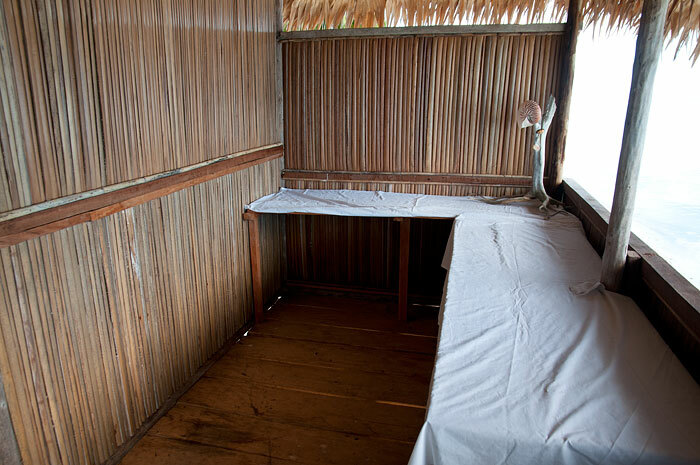 Accommodations consist of basic beach bungalows with crisp, white bedding and mosquito net. The night sky was beautiful with so many stars! 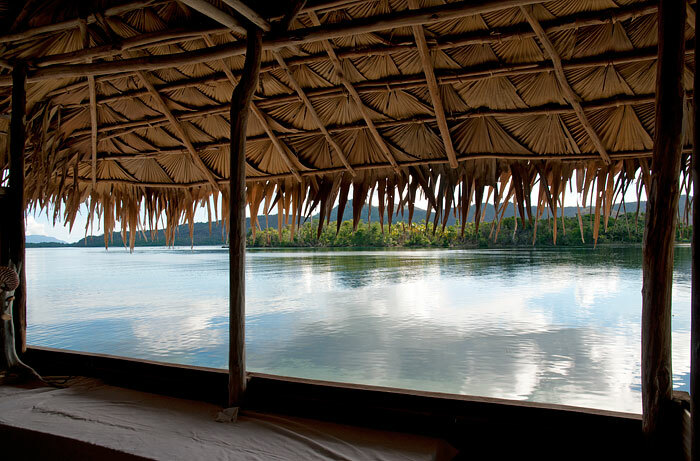 Our bungalow rested on the waters edge, and we could hear the water gently lapping the shore at night. We were the only guests at Bon Wauw, and we enjoyed snorkeling the beautiful reef right on the beach with no one around. We also took Mr. Matheus up on some trips to nearby reefs, which were stunning. Last, the food at Bon Wauw was delicious every day. They serve up fish most meals, but the taste is just incredible. If you prefer not to have fish every meal, ask for egg or tofu to be part of your meals. I’d also advise you to take whatever you need for your personal comfort. We have a coffee and sugar addiction, for example, so it was a good thing we took coffee and sugar as a “gift.” I think we consumed about as much as we gave! Definitely a must go for romantic travelers seeking a hideaway vacation. I spent 4 nights, 5 days on the beach bungalow. It was straight on the beach and the water and was really nice. I enjoy staying in that place for these days . The place is “lost on an island”, and dont expect to see many tourist there ! (It was what i looked for, do I enjoyed it). The village is at 15 minutes walking on the beach. 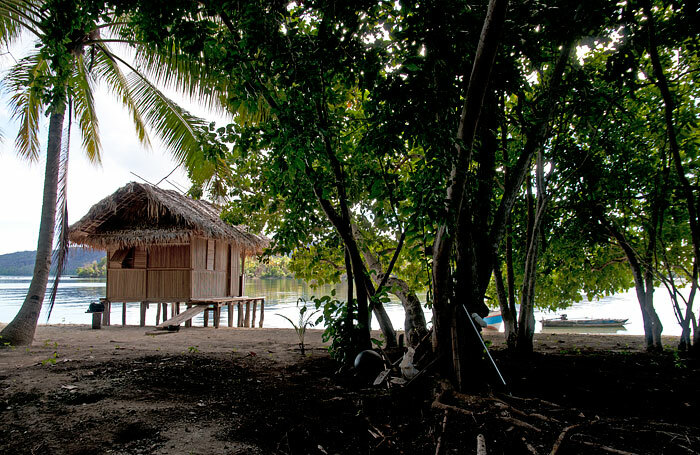 On that island, there is no internet, and just enough some network to make à simple phone call. Perfect for people who want a “communication break”. Dining room is convenient, on the beach, and dishes prepared by the family were also good (you just need to ask sometimes to have another thing than fish, otherwise you will get some 2 times à day). (1M IDR to go there, 1,5M IDR to go back…). To avoid any problem, pay at destination, once arrived. Except these 2 points, i recommand that place. Snorkeling is 15 meters front of the bungalow, “heaven beaches” are on the next island. The owner’s son (Dany) is a “really” good boat driver !! But should be more careful for long ride with boat and weather. For information, one day trip to Wayag costs 4M IDR for one long boat (not a speed boat), 3h ride for one way. Price to share btw passengers (i was alone). This price includes the 1M entrance fee payable per boat on Wayag island). One night costs 350k, 3 meals included. Thanks for taking the time to leave a review Romain. The folks at Bon Wauw are much too polite to point this out, so we’ll have to: “To avoid any problem, pay at destination, once arrived.” is very bad advice. It’s unfair and disrespectful to your hosts, who have clearly stated the prices for their services on their website page. If you are not happy to pay those prices, then the time to bargain is BEFORE making use of the service, not afterward, when your hosts (being averse to confrontation) have little choice but to accept whatever you decide you want to pay. When you talk with people, you bargain, you agree on a price (what I did in the correct way of course), then the 2 parties “NEED” to respect their engagement. We “agreed” 2 times on prices, for a day trip + for the return to Waisai, but the owner DID NOT respect our engagements 2 times (for day trip he asked me more money “after the deal” + for the return I asked to be drop off in Waisai, not in Mansuar …). So when I don’t fully trust someone, I pay after to avoid any inconvenience, and more on an island. I travel for 15 years now, so of course I know when a deal is accepted we have to pay immediately, but the service provider also needs to respect his engagement ! True, although hosts must wonder why, when they advertise the prices they want on the internet the same as any other service provider around the world, that they are constantly expected to reduce them! Good place. They now have two bungalows on the beach. There is a nice lookout point behind the guesthouse for sunsets, and it is also possible and fairly easy to follow the big ridge along the whole length of the island going west. The best snorkelling I had during three weeks in the islands was on the small U-shaped island just east of Batang Pele. Spectacular. Apparently there are crocs around Manyaifun and Pele. I have stayed at this beautiful and remote location for about a week in Feb. 2017. Mattheus and his family took such good care for me and made me feel at home. Great food and a wonderful location with great snorkeling spots within close range. Close to Wayag, manta spot en other beautiful places. This place has only one beautiful private bungalow for max. two persons but it is lovely and meals are served on your balcony. There is a descent (non European) toilet and bucket shower. Mattheus can take you to all the nice places and a walk to the hill to sunset point and the holy turtle place should be on your list. I have a inflatable canoe and i want to explore the area with it. Is it that dangerous? It’s always best (regardless of where you stay in Raja Ampat) to at least consult a local guide, especially if you are travelling alone. 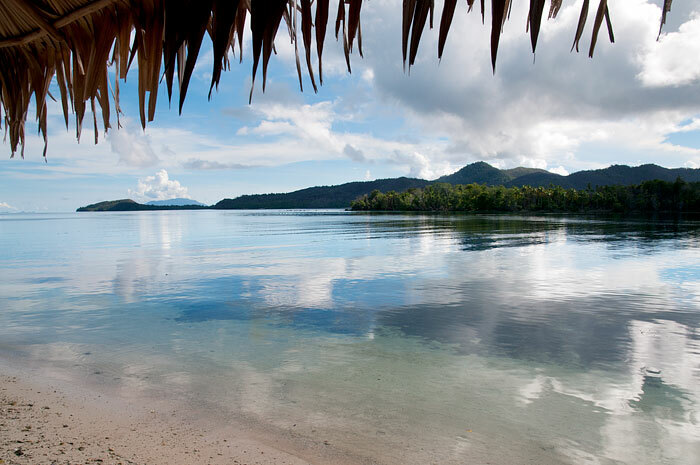 Apart from the risk of encountering crocodiles, Raja Ampat experiences very strong and swift tidal currents which are impossible to swim (and in some cases paddle) against. You may well be fine in a canoe, but snorkeling alone is never a good idea. Not even in front of thehomestay? Only if you’ve been told it’s OK and someone knows you are going. but even every time i want to take a swim is a lot different from other places i visted in raja ampat. Is this special for this eiland? You only need to ask once if it’s OK to swim/snorkel in front of any homestay, and (unless you’re completely familiar with local conditions) it’s always good practice to make sure someone at least sees you enter the water. It’s more important to do this at Manyaifun as there is a higher risk of encountering a crocodile there. Thank you and sorry for filling up the thread. I don’t use Facebook and could not find another way of communicating. You can delete the threat if you want. SRA says: Replying here Peter because we’ve hit the Q&A limit for comments. You’re welcome to ask questions via the website contact form, then we can continue over email. All the best. Is this guesthouse fully in business? Certainly is Peter. It wouldn’t be on the website if not. I have some questions but speak no Bahasa Indonesia and there is no email address. I need transport from Bon Wauw Homestay to Beser Bay Homestay on 26th of February and icannot find any info and prices on snorkeling trips in the area. Can you help me or ask for me? We’re not based in Raja Ampat and can’t ask for you, but Bon Wauw will definitely be able to provide the transfer you need to Gam. Prices for local snorkelling trips should be similar to those of Bon Wauw’s neighbour Sea Fans Homestay. Thank you, That is clear. One final question if i may. There are two ferries from Sorong so how do i let them know which ferry I take from Sorong so they pick me up at the right time? I can only use the check in box for transport from Waisai. As advised in booking confirmation emails, it’s best to SMS your hosts when you are getting on the ferry in Sorong. Hi, I sent sms to pak Matheus to know accommodation availability for three people from 22 January 2017. I had no answer, how can I do to have this information? Truly sorry to take so long to reply to your question riccardo – we’ve just returned to an internet connection after 12 days out in the islands. It’s too late now of course, but for anyone else with the same question, the easiest way to request a booking for the dates you want is to use the booking form on the page. If available, a reservation confirmation will be emailed to you. A notification will also be emailed if the room requested is unavailable, or if our system is unable to contact the homestay. NOTE: If you just want to enquire about availability (and don’t actually want to make a booking), then you must try to contact the homestay directly. See this page for why that’s the case. However: Almost all homestays are unable to send SMS to or call international numbers. we´ll be in Raja Ampat from 21st November to 10th December 2016. One or two weeks of this time, we want to spend on the outer islands of West Waigeo, Manyaifun or/and Selpele. If you want to share the boat-trip (and the costs), from Waisai or maybe Southern Gam to West Waigeo, I´d be happy to hear from you.